Google’s Plan for Mobile Search Could Unleash “Mobilegeddon” – Will You Be Ready? With the fast-approaching deadline of April 21, you should begin the transition to a mobile-friendly website now. Based upon their own criteria, Google will reward mobile-friendly websites with better rankings in mobile search. Conversely, websites that are not mobile-friendly could see a substantial decline in mobile rankings. If your website is mobile-friendly, you’re all set! However, if not, it’s time to make the transition. In light of this announcement, it is safe to assume that mobile-friendly websites will become a necessity for companies trying to remain relevant for mobile search. Can you withstand “mobilegeddon”? 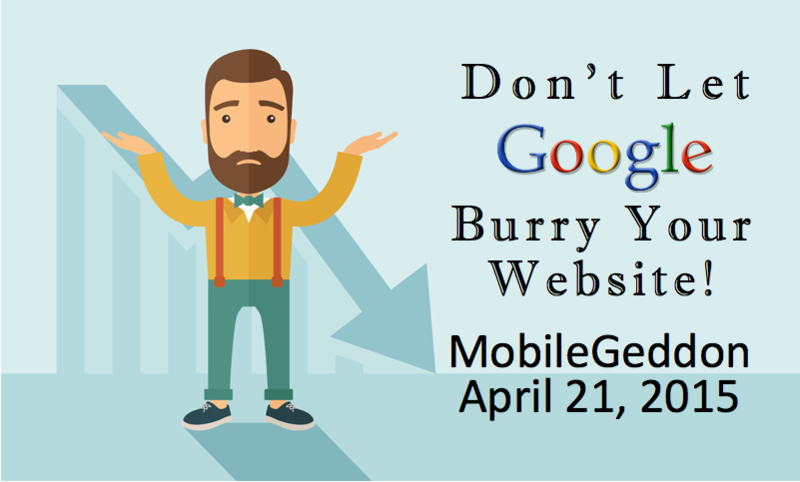 Make the transition to a mobile-friendly website before Google executes its new plan on April 21.